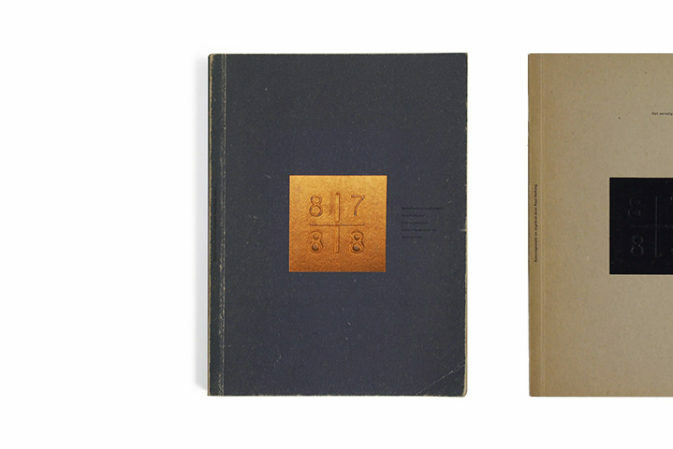 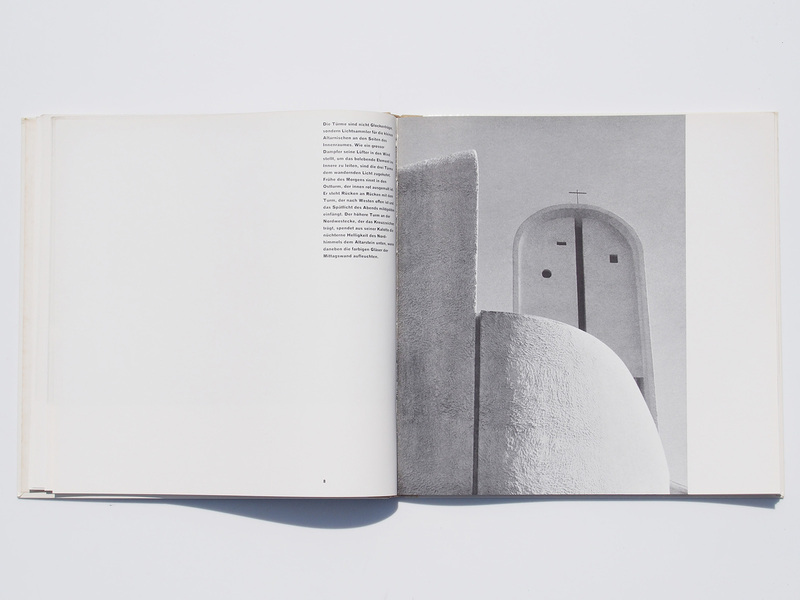 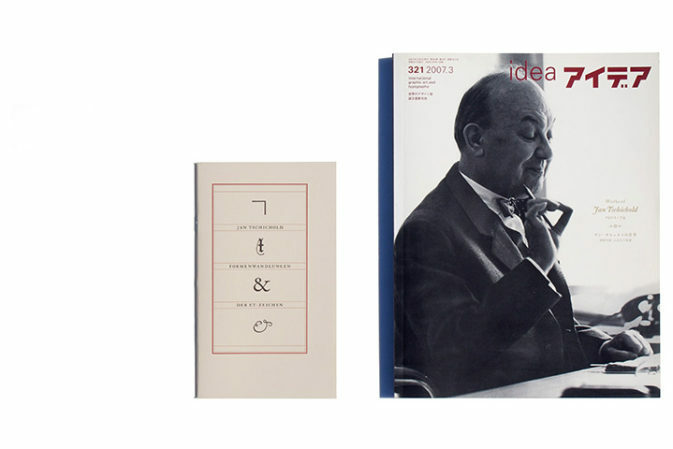 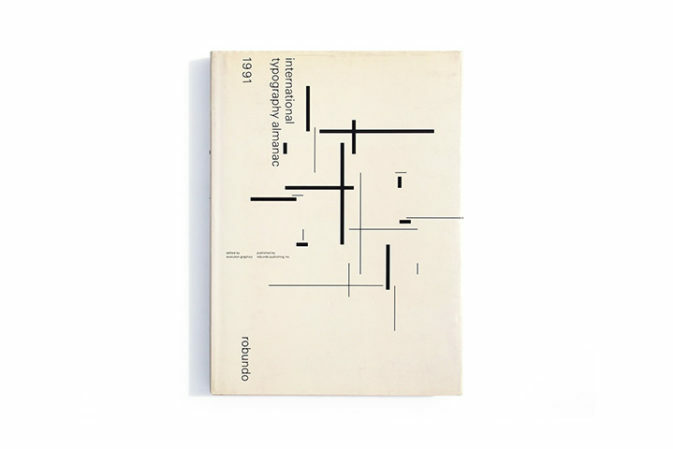 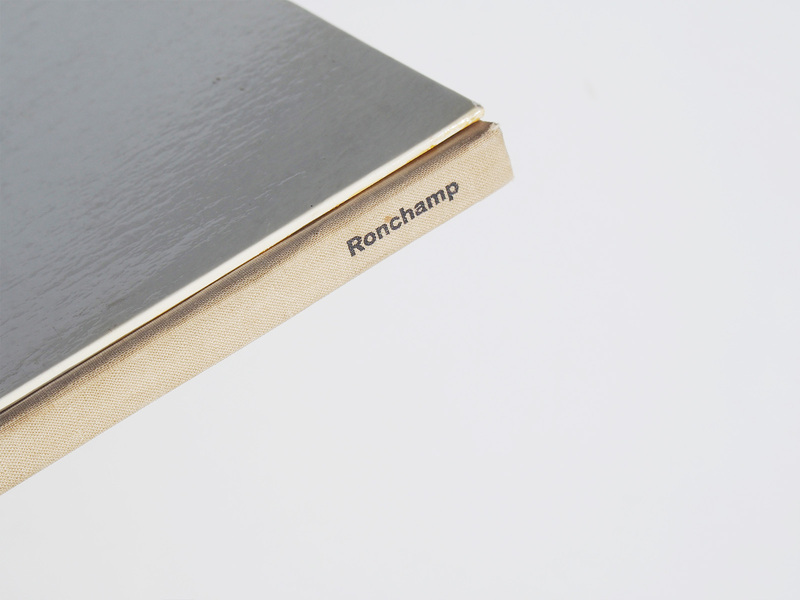 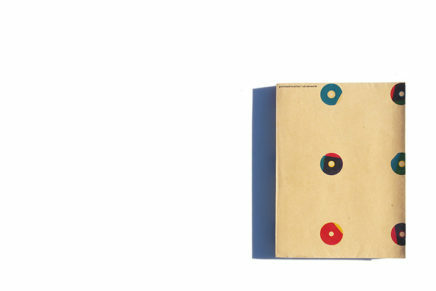 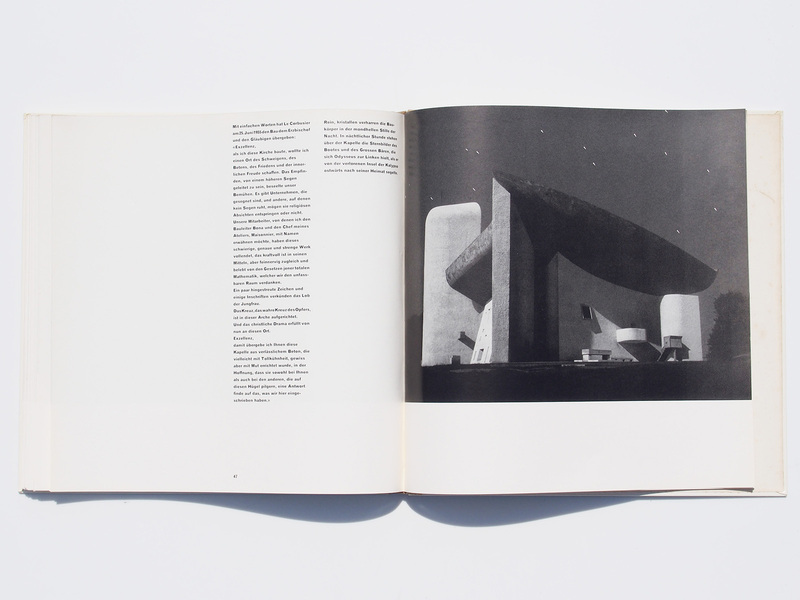 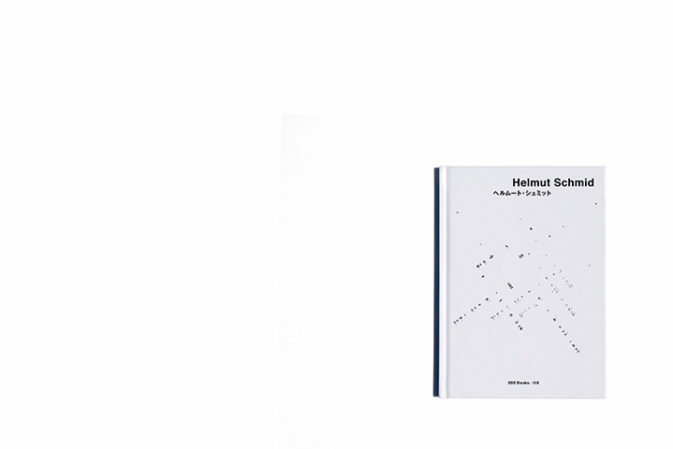 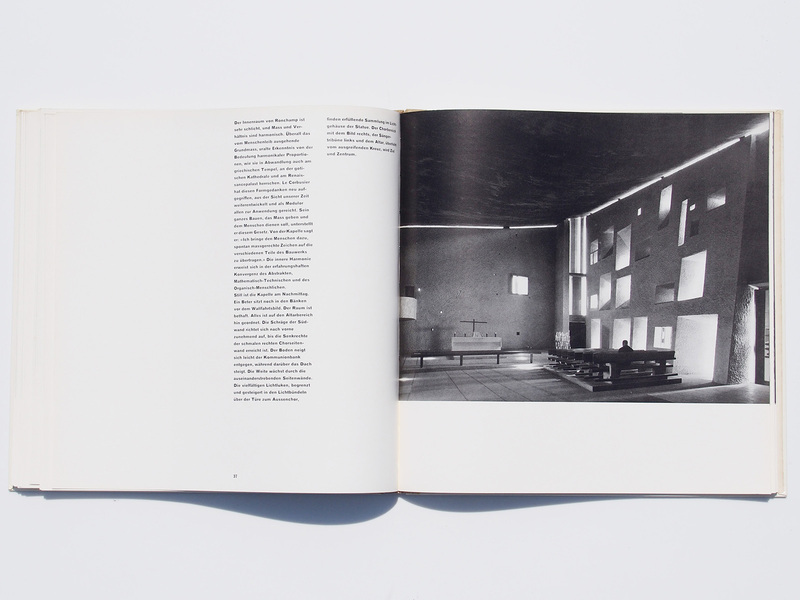 Ronchamp, the book on Le Corbusier’s chapel, is a highlight of modern typography. 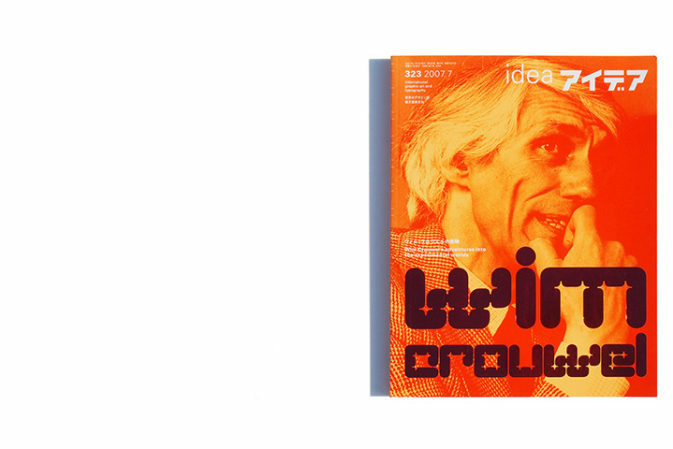 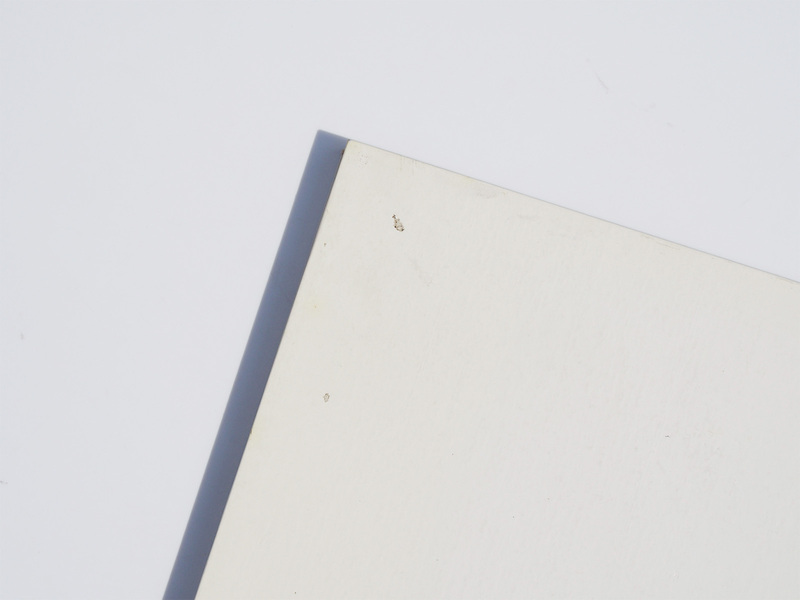 Free of heaviness of Bauhaus, it is in a new typography which was so fresh and new compared to the typography of that time. 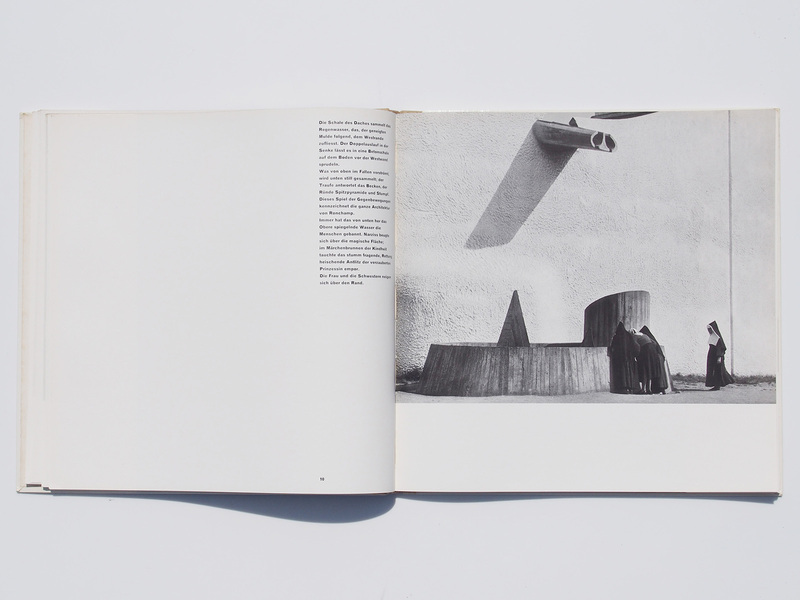 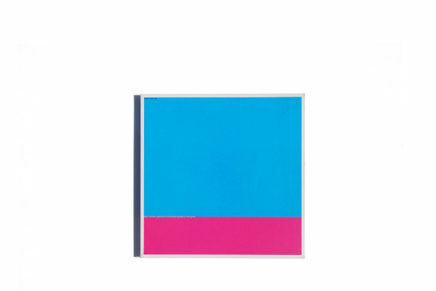 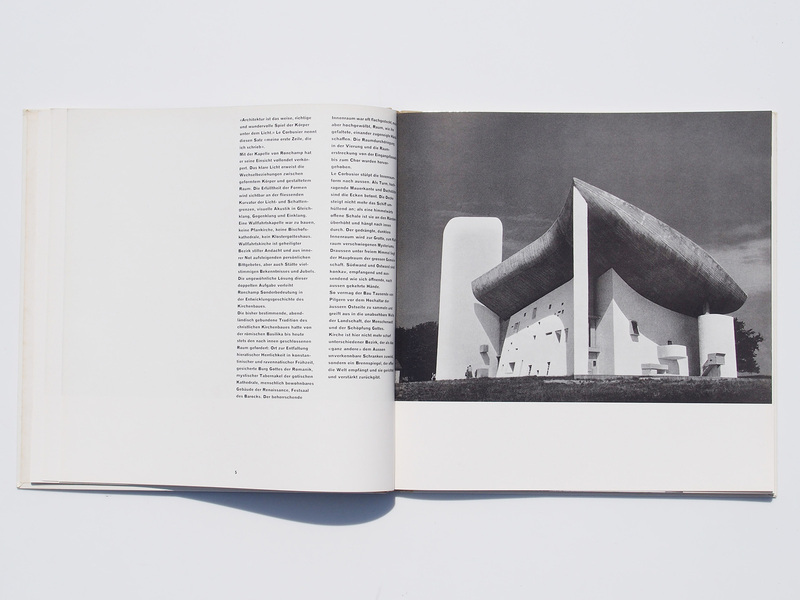 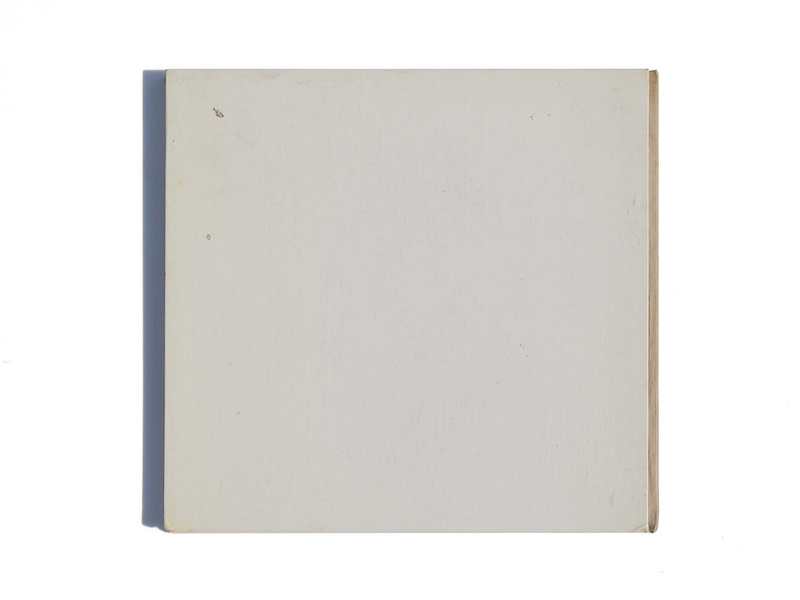 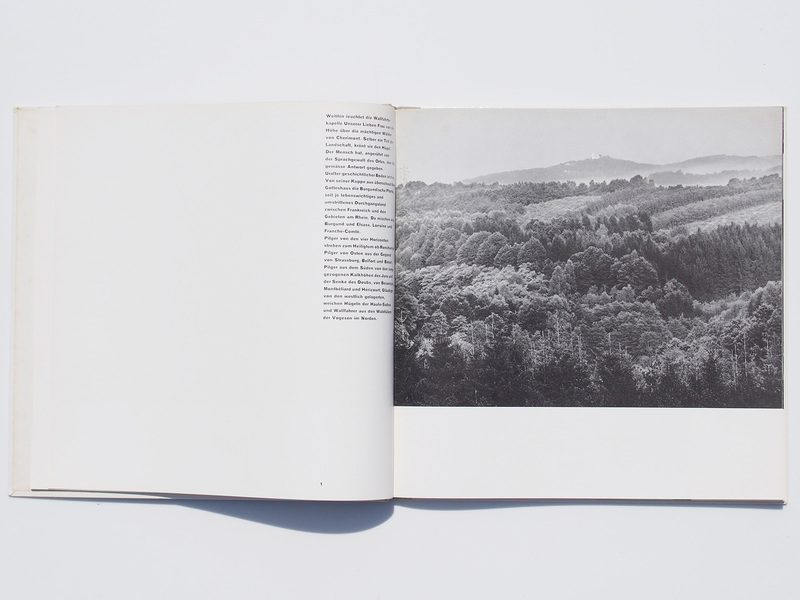 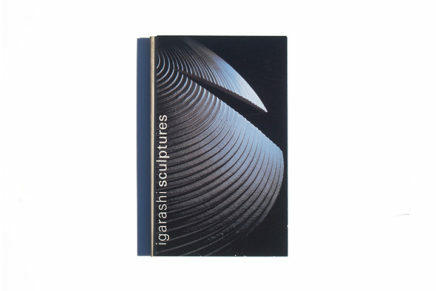 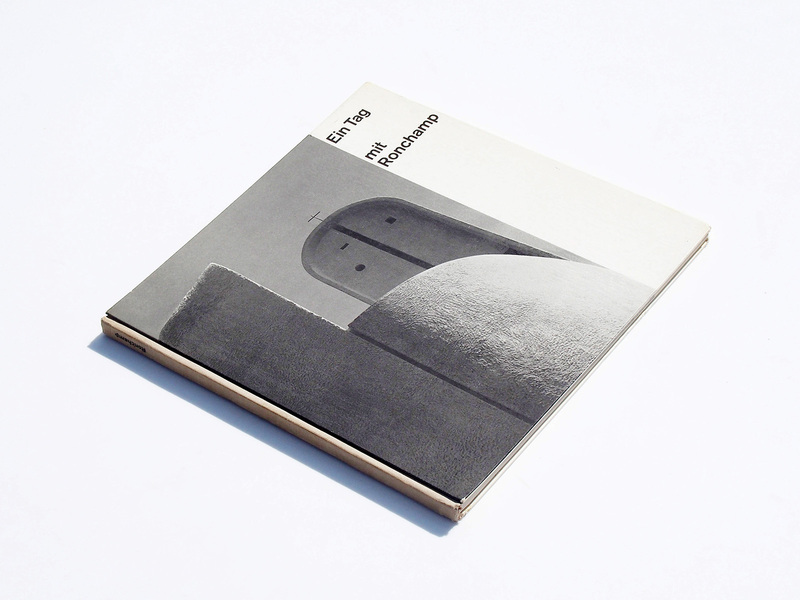 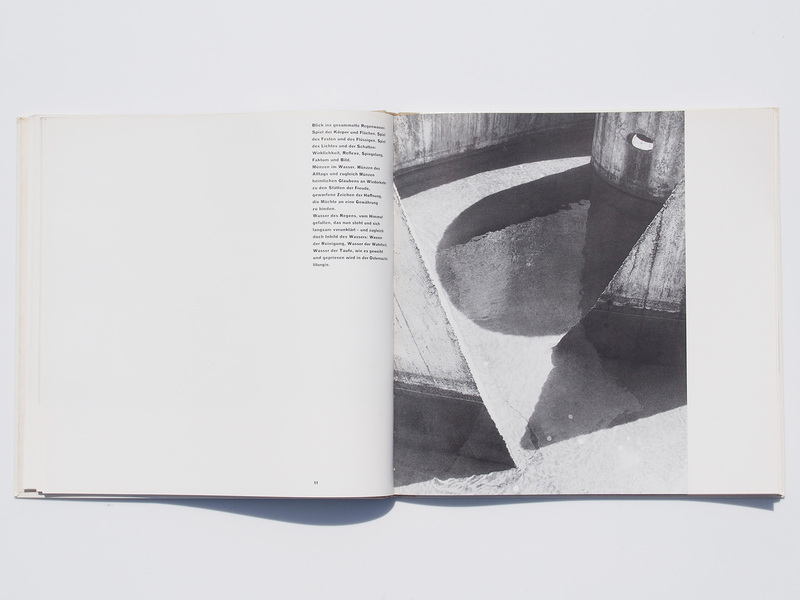 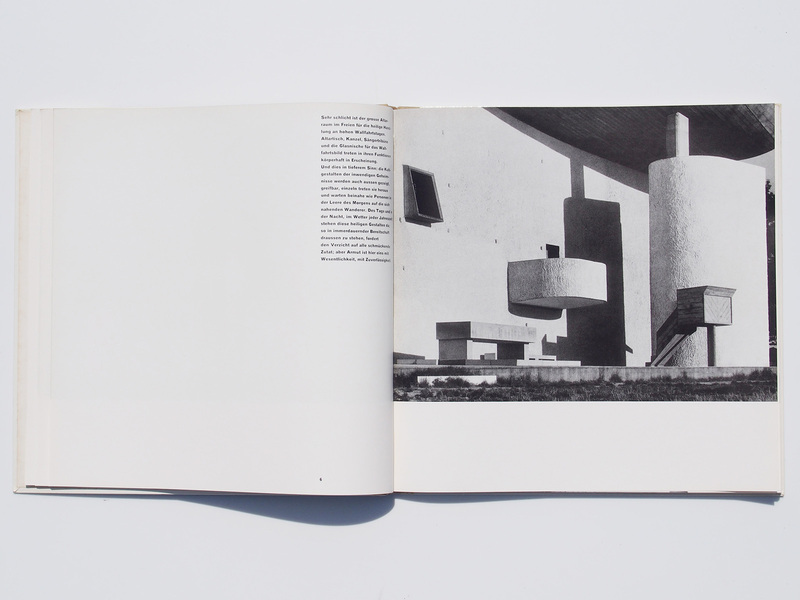 A book of 48 photos of the capel in Ronchamp by Paul and Esther Merkle. 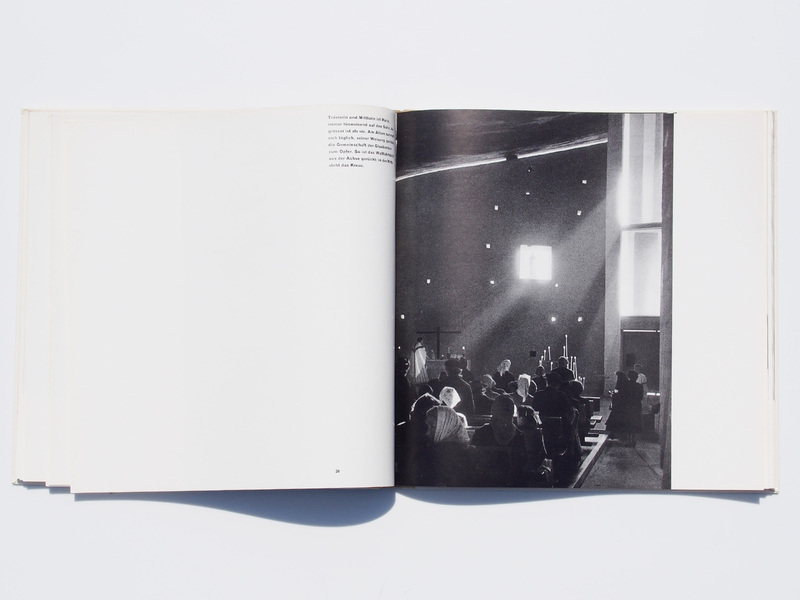 Text by Robert Th. 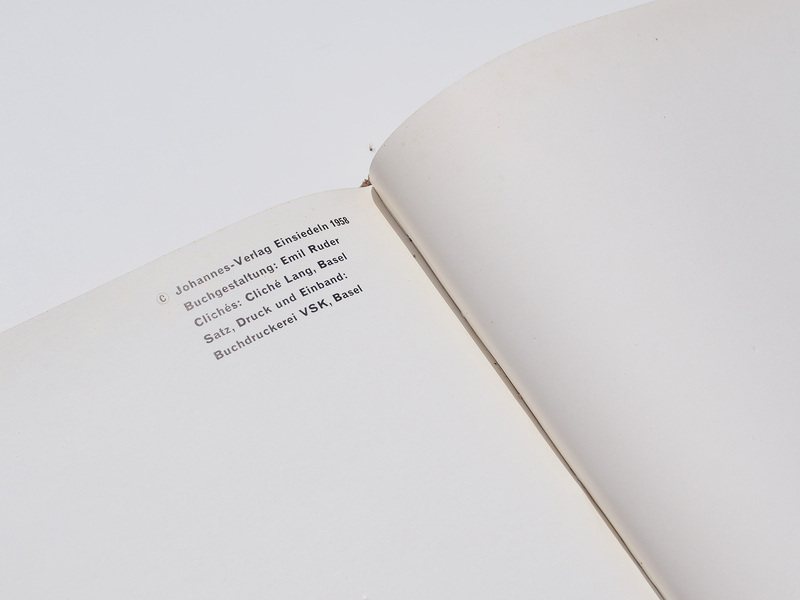 Stoll, preface by Hans Urs von Balthaser.